Unfortunately, negotiation training is seldom offered to project managers before they need it. While there are courses available, most negotiators tend to trained on the job. This makes a certain amount of sense but it does concentrate the knowledge in a few individuals. As a project manager, you are often required to negotiate for various resources; it would be great to have some training on your side. Companies that concentrate their negotiation duties in a few individuals, (or a single one), are increasing a certain amount of human relations risk. A survey of specialized negotiators will likely find that most of these employees are among the oldest workers in the company. This is both good and bad. Obviously a skilled, experienced negotiator will give the company a solid base during a session with another company's staff. It also points out that the company will often have a significant skill gap when the negotiators retire or depart from the company for other reasons. All specialized negotiators should be required to mentor an assistant and even offer internal courses to young staff. Succession planning is very important. As most specialized negotiators know, it is often very important to know your counterpart well. 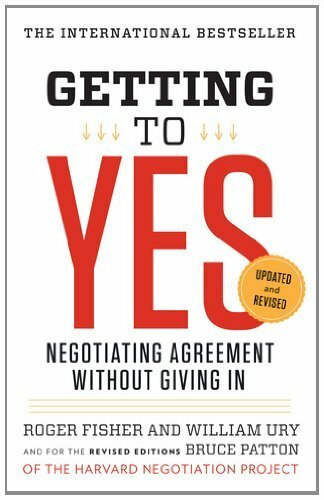 As described in this article about understanding your counterpart, young project managers with little experience are often unaware of this negotiation tip. Just reading the article will help and may give the project manager some information to help justify negotiation training tuition fees for them. Obviously the best way to gain negotiation skills in by experience. Since the stakes are often very high for a company, they should protect their future by training and educating those young project managers on site. They will be involved in the future negotiations so they should have as much knowledge as possible before they get in the game. This is really true for those organizations that have older, skilled negotiators. While they may be effective for the company, what is the future going to be like in a few years when the old guard moves on? It is practically imperative that companies distribute negotiation training and experience to as many young employees as possible. Experience is great, and so is knowledge. You won't get either automatically. If you aren't working in the field, you will find it harder to gain both. One method is to interview some experts. If someone is experienced, ask them about it. Ask how you could succeed. Get a list of tips to use. Interviews are powerful tools. You can gain knowledge from those who have done it before. Don't forget that your friends may work in the field as well. Ask them questions as well. Find out what works, and what doesn't. In many cases, finding out problems in an informal setting will save you a lot of time later. Get their recommendations for books and courses as well. Once you get this type of help, keep it up. Get periodic help over time. Make a dialog. Let them know what you feel about their help. Later you can give feedback and share your own successes. Negotiating is very important in many fields. Pretty much anywhere that procurement, or purchasing, is required, this skill is important. Project managers are often in need of this skill. They have to buy services from contractors. They also buy products to be used in their work. While they may have a qualified purchaser, they may not. Some amount of skill in the field can be very important for a project manager. Even if it is not their main focus, getting some ability in this area can really help. Think back to school. Perhaps you avoided arguments, or even fights. How? By discussion and give/take. This skill is learned early by most people. At its simplest form, it is a basic skill. As people age, they gain complexity in their lives. This is certainly true of the work environment. Still, bartering is a key. Your objective is always to gain things for the lowest cost. This extends to business. You need to obtain things, (goods, services), for the lowest cost. Cost can mean many things. It can be a monetary payment. It can be time or other resources. What child hasn't argued for a later bedtime? This is a basic skill. 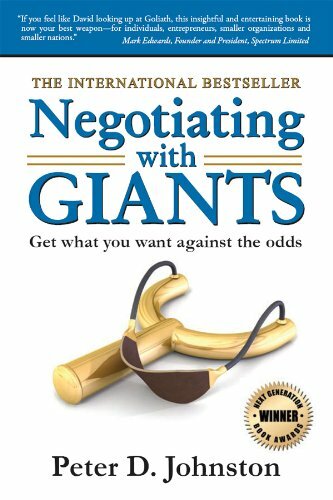 The art of negotiation is a key skill for many industries. Again, obtaining anything for a reasonable cost, is the goal. The item obtained can be an product, a service, or even an idea. The cost can be in money, raw materials, or an intangible, such as a trade arrangement. Regardless, the basic skill extends to business and a vital ingredient in most of the top businesses, regardless of their operating country or supply category.